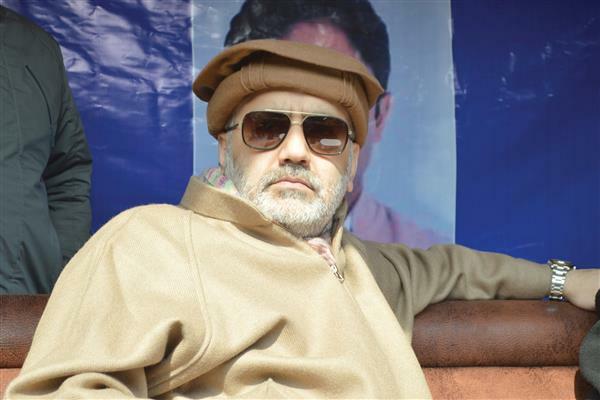 Molvi Imran Raza Ansari, a former Minister is presently general secretary of Jammu and Kashmir Peoples Conference. After the death of his father, Molvi Iftikar Ansari, Imran Raza Ansari became the de-facto president of ‘All Jammu and Kashmir Shia Association. The ‘chief-cleric’ title had won him exemplary veneration and huge public support. 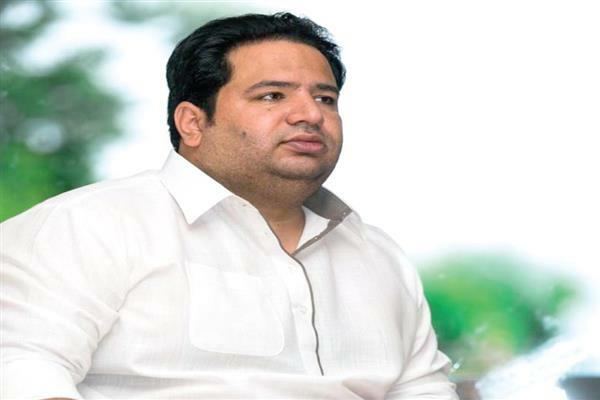 JKPC chairman Sajad Gani Lone with the intent of increasing the influence of his party over Shia community roped in Molvi Imran Raza Ansari to change the dynamics of competitive electoral politics in Kashmir. Parliamentary elections are headway. How are your preparations going to woo the voters? We have been in the election mode since long when other political parties were busy in boycotting mode. We participated in the municipality elections and achieved huge success even when we were not having any party symbol the then. Srinagar Municipal Corporation sitting Mayor is from People’s Conference and is the product of this preparation. We are hopeful that we will do well in coming Parliamentary elections as our ‘out-reach’ programmes are going well and we are disseminating our agenda before public. Political analysts are viewing People’s Conference emerging as the ‘third-front’ in Jammu and Kashmir after oppressive dynastic NC and PDP. You are contesting from all the six parliamentary seats, have you done any maths how many seats PC can win? I don’t like this ‘third-front’ vocabulary. We are well recognised political party with well established organizational structure from grass root level to the state level. We are connected to the villages and remote areas and this gives us humbling experience. On JKPC emerging as a third option in the state, I can’t predict the future. I can’t build a wave like other political parties or individual personalities. We are humble people and will meet the people at the grass-root level. We will go to the people with the agenda to win them but I can’t predict that PC will win this or that number of seats. But this is certain that JKPC to some extent has gained mileage over PDP and NC and people are seeing PC as a viable option than oppressive traditional dynastic politics. Mr. Imran Ansari alleged that PDP and NC have become cesspool of dynastic politics. In yours case politics is also dynastic and is transcending from father to you and to your brother. Are you the same person who first agitated against the dynastic politics but is himself falling into the same pool? This is an interesting question and I was looking that someone should ask me such question. 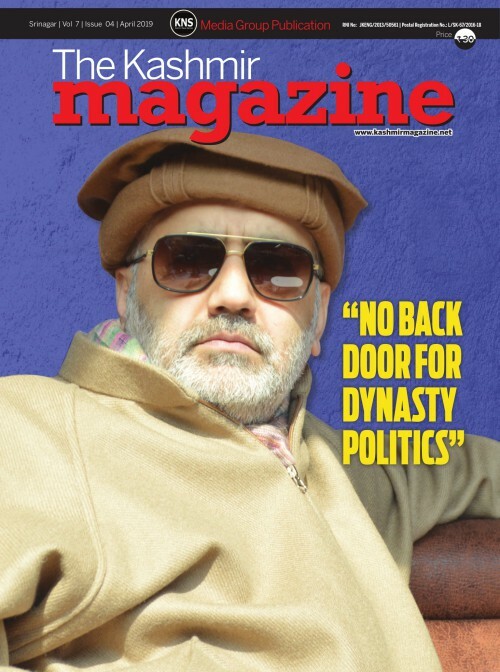 According to me, dynastic politics is one in which the family members are installed from backdoor. Irfan Raza Ansari is my brother and is contesting parliamentary elections from Srinagar constituency against National Conference’s patron Farooq Abdullah. He has chosen the path of electoral politics. There are lakhs of voters who will vote or will not vote for him. This is a fair process to get elected to an office. Every citizen has a right to any public office provided he possesses the eligibility that the constitution upholds. I am promising you today on record that Irfan will never be given a backdoor entry to any public office. Mr. Imran Sahab you were a part of PDP and won’t it be surprising for you that once Mehbooba Mufti was also against Jamaat-e-Islami and now she is protesting against the Jamaat-ban by the government of India under Unlawful Activities Act? Now you will see many colours of Miss Mufti. She is desperate after party and the resources her late father Mufti Mohammad Sayed had collected are dispersing. In this mental state she is saying different and counter things now what she said when she was in power. I think she could do better if she sits back home and introspects on all these things and I am sure she can save the sinking ship before more tempests come. This is a social media and satellite age. Information is spreading like fire. You say a word or a statement and within a second it reaches to people. So today people can’t be taken for ride by politicians when they are saying anything whenever it suits the latter. 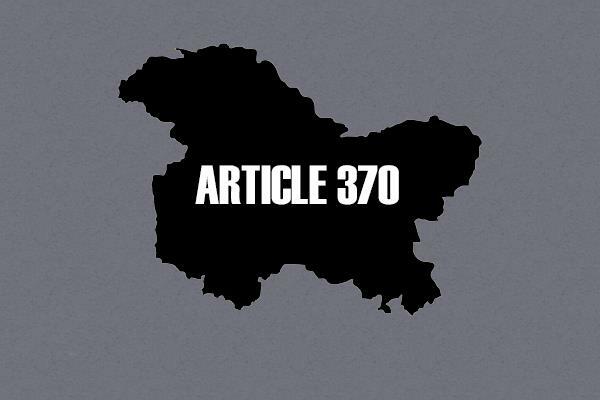 How do you see the ban on Jamaat and JKLF? I can have individual differences with Jamaat or JKLF but it should not become the force for banning these organisations. Today we all are blaming New Delhi for banning these organisations. It is we politicians that have given Jamaat a ‘bad outlook’ and it facilitated New Delhi to ban the organisation. If we delve deep into the history, we see that in 1989 when Farooq Abdullah was the Chief Minister he got prepared a file to ban the Jamaat-e-Islami and even reached the central government for the same. Some politicians have this habit that they first initiate a process and then they forget it. Today this file has been re-opened by the central government and a decision is taken. From this way, National Conference Patron, Farooq Abdullah is responsible for the Jamaat ban as he planted the Jamaat-ban sapling. He was the primary advocate for the Jamaat ban. Do you see it is a drama-baazi by other political parties then? Absolutely, it is a drama-baazi. Today, Farooq Abdullah sahab is saying that banning Jamaat is wrong but where was he when he was the Chief Minister in 1989 when he himself advocated the Jamaat Ban. In government the files never remain hidden forever someday they face the light of the day. Someone might have digged this file and made it the basis for the ban process. What is your manifesto for the Parliamentary and upcoming Assembly elections? The new political parties that are emerging now are saying what we have been saying since PC was established as a party. We will not show glittering stars to people. We are telling them we will become ‘facilitators’ in finding a solution to the Kashmir problem. We will work within the limitations and will play a crucial role in resolving Kashmir issue, development and justice. In coming few days we will make the manifesto public and explain our agendas and promises to the general public. What will you draw from ‘Achievable Nationhood’ and incorporate into the manifesto? ‘Achievable Nationhood’ is a handiwork of different time and circumstances. This is a vision document that was produced in response to a request by government of India from Sajad Lone sahab. Time has changed so the circumstances and to a certain extent the documents has become irrelevant. We will make the manifesto that will deal with the present times and incorporate the demands of the people. There has been an atmosphere of war after Pulwama suicide blast. BJP-government at the central has to a large extent failed to involve Pakistan in the dialogue. What will be the impact of this ‘tough and rigid BJP stand’ on regional parties in the state? It is a fact that in the acrimonious and war-like relations between India and Pakistan Kashmiris are the worst sufferers. It was evident in the post-Pulwama suicide blast how Kashmiris were threatened outside the state and even in the state people were terrified and were ferrying to safer places in the wake of an evident war. We want there should be a ‘futuristic dialogue’ between the two countries so that all the issues can be solved amicably. We have lost lakhs of soldiers and civilians in the violence in the state. I think Prime Minister of the country should broaden his chest and take a lead to start talks again to resolve the Kashmir issue. Do you think the invoking of Pakistan and Kashmir during elections is just to woo voters? People are free to interpret the happenings in their ways and I can’t do anything in it. IAF conducted Balakot Airstrikes and we got to know it from media. I have no idea about who is getting the advantage from these strikes. But I can certainly say that in the tension between India and Pakistan, Kashmiris are bearing the brunt of any escalations. 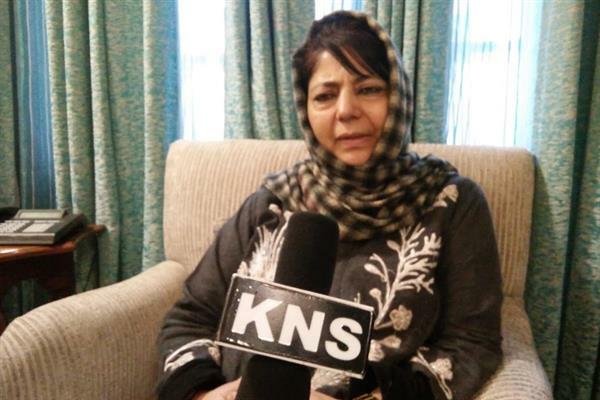 Today, Mehbooba Mufti is saying that alliance with BJP was a wrong decision. You were a part of PDP that time what were your suggestions the then? Late Mufti Mohammad Sayed, the then patron of PDP has given the assignment of forging an alliance with BJP to some commissary. I was a part of the party the then and bound to follow what the party patron decides. The question of what were my suggestions on forging an alliance with BJP has no meaning. It was a decision taken by the late Mufti sahab himself. It is rife in the political circles that People’s Conference is in a ‘secret pre-poll’ alliance with BJP. Is it true? 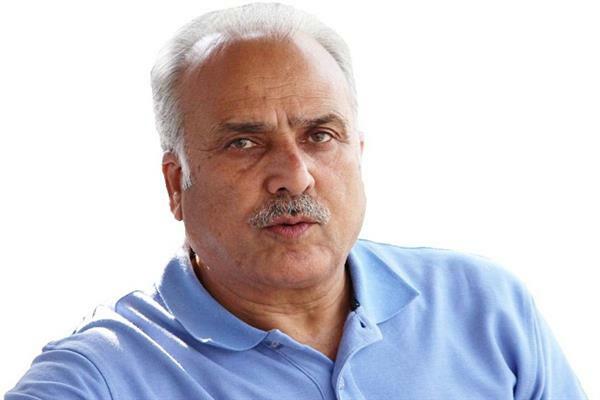 I am the general secretary of the Jammu and Kashmir People’s Conference (JKPC) and I am saying it with certainty that we are not in any ‘pre-poll alliance’ with any political party. We are contesting the Parliamentary and Assembly election from all constituencies solo. Are you in touch with the ex-MLAs of PDP and making efforts to attract them to PC? I am not in touch with any PDP member. I am not making any efforts to attract them to our camp. But yes if they want to join our party they are welcome. I told it earlier that PDP will disperse and I was told that I am an opportunist. Now when other people are leaving PDP why they are not called opportunists.